Jon Wylie, President, Global Natural Resources was interviewed by Future of Mining. He was asked why he believes conferences and knowledge exchanges such as Future of Mining are useful for the industry. Jon Wylie, President, Global Natural Resources presenting a large capital project at the Future of Mining conference today in Denver. What is Enterprise Aerial Mapping (EAM)? Proudfoot CEO, Pamela Hackett discusses the importance of implementing the wall-to-wall, bottom-up look at your business, both good and bad, through a people-first-focused lens. Pamela Hackett, Proudfoot CEO discussing how to create change by choice within your organization. How do you get your transformation programs to succeed? She will be leading a Masterclass on Transformation during an invitation-only Knowledge Exchange at 1 pm, CST on the 29th at the Future of Mining Conference Americas in Denver, CO.
Proudfoot CEO, Pamela Hackett discussing Mining Disruption, one of the major topics that will be addressed at the Future of Mining Americas Conference in Denver on Oct. 29-30. What are you competing on? Is your operating model keeping up? These are just some of the questions that will be discussed at various panels and presentations throughout the two-day conference. Proudfoot CEO, Pamela Hackett, discussing the Improving Net Present Value presentation that will be done by Jon Wylie, President, Global Natural Resources, at the Future of Mining Conference Americas. The presentation will focus on a case study that shows how your process, people, and systems can ensure huge investments deliver on time, safely, and on budget. Proudfoot CEO, Pamela Hackett discusses her interest in incorporating agile within mining companies and shares how the topic will be presented at this year's Future of Mining Conference Americas. Oyu Tolgoi, a $5.5 billion project managed by Rio Tinto, will become one of the largest underground mines in the world with the potential to supply copper for up to 100 years. The two-day conference will address jurisdictional and governance changes and showcase new developments affecting the mining industry, including two days of editorially curated content and a focus on Exploration, Development, Management, Infrastructure, and leadership. All from the world’s leading experts and the most influential key note speakers, guaranteed to bring fresh new perspectives and challenge conventional thinking. Key to any mining operation, the maintenance function is what sustains a high level of productivity. Without it, trucks would break down and machinery would fail – potentially costing a company millions in repairs and lost productivity. By the same token, a poorly managed maintenance program can have the same expensive consequences. The ability to run operations at full capacity, and then sustain them, is a major challenge for the mining industry. Vital tasks, such as crushing and transferring minerals, are suffering because people and equipment are not being utilized properly. The end result is low productivity and the high costs that are associated with it. However, our recent findings show that it in many cases it is possible to increase productivity in mining between 20 - 40%, reduce supply costs between 10 - 15% and cut energy costs by 2 - 10% through effective asset management. 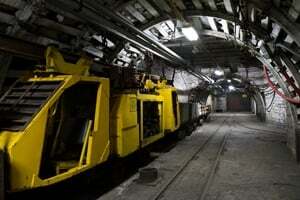 Mining firms must transform in order to survive and they have begun to take inspiration from factory floors. Productivity is the most significant business risk facing mining and metals companies today, according to a recent EY report. By combining direct revenues, payments made to service sectors and other contributions, the mining industry is responsible for approximately 45 percent of the world’s measured economic activity. As such, there is no denying that mining plays an important role in today’s economy. Safety is one of the most important issues in today’s mining sector. That’s why Alexander Proudfoot participated in last week’s National Coal Mine Rescue, First Aid, Bench and Pre-Shift Competition. 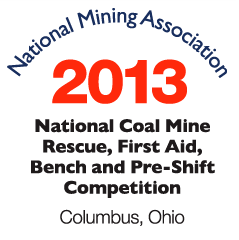 The competition, sponsored by the National Mining Association and administered by the US Department of Labor’s Mine Safety and Health Administration, put the industry’s safety skills on center stage in Columbus, OH.